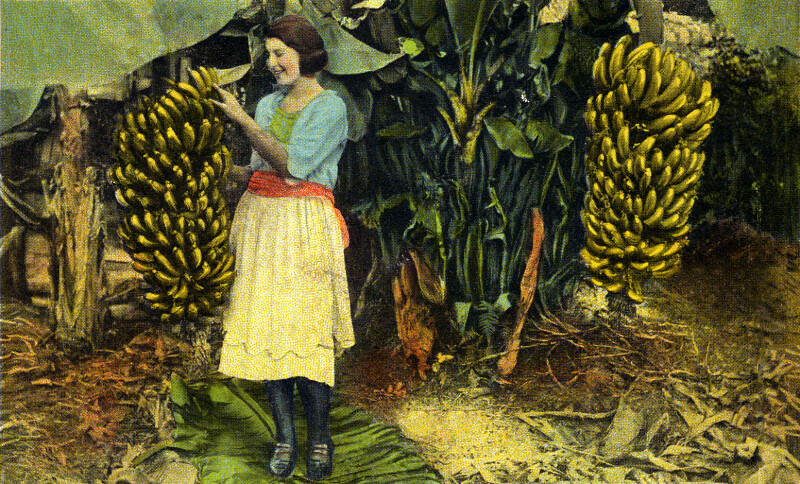 A woman smiles as she plucks a banana from the bunch that is hanging to her right. There is another bunch of bananas to her left. The woman is fairly young, and wears an apron.